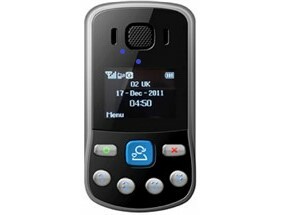 Powerful GSM/GPS/WiFi personal security and safety devices that will give you confidence at all times, in any situation. Free Trial for 10+ workers. For further information call 0800 733 666 or fill out the enquiry form at the bottom of the page. 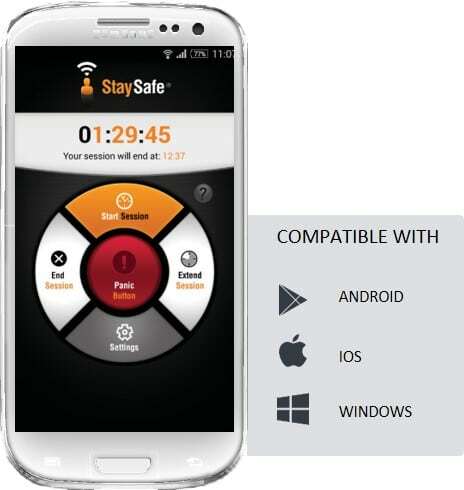 StaySafe Mobile Safety App Fully Managed Solution. StaySafe supports companies in meeting their duty of care in relation to the New Zealand Health and Safety Act. StaySafe helps mitigate the risks faced by lone workers – providing them with a method of communication. 1.) StaySafe’s technology allows businesses to meet their duty of care by turning any smart device into a safety tool that protects and monitors employees whilst they work, travel or meet with clients alone or in remote locations. 2.) StaySafe lets you monitor the location of lone workers in real-time and allows them to check-in safely once they have finished a lone working or travel session. Importantly, employees are only tracked when they self-initiate a session in the app – so they are in control. 3.) StaySafe is designed to be easy to use and fit effortlessly into the working day. Our solution can be up and running within 24 hours with 100% global coverage through a combination of cellular and satellite communications. 4.) Our multi-award winning lone worker technology is low cost and offers the flexibility to suit different lone workers, and the scalability to meet business growth. All you need is your smartphone or tablet (Android, IOS and Windows are all supported). The Oysta Lone Worker Alarm is an ideal fit for people who go about their daily activities away from the workplace, while having the ability to raise an alarm for Help if needed. The Oysta is a portable, light weight, easy to use alarm device that operates across the 2G cellular network coverage areas in NZ. How it works is you simply press and hold down the SOS button in the centre of the device for approximately 2 seconds. This will activate an alarm and voice call which is received by our Monitoring Centre Operators. Through the Oysta you will be able to speak to our operators. In addition when pressing the SOS button, GPS coordinates are automatically sent from your Oysta device to help us identify your last known location. This will help Red Wolf Operators provide Emergency Services with the necessary information to pinpoint your whereabouts. There is a simple to follow step by step guide shipped with the alarm to help you and Red Wolf Operators will contact you to guide you through the simple setup process. How Can We Help With Your Security Requirements?